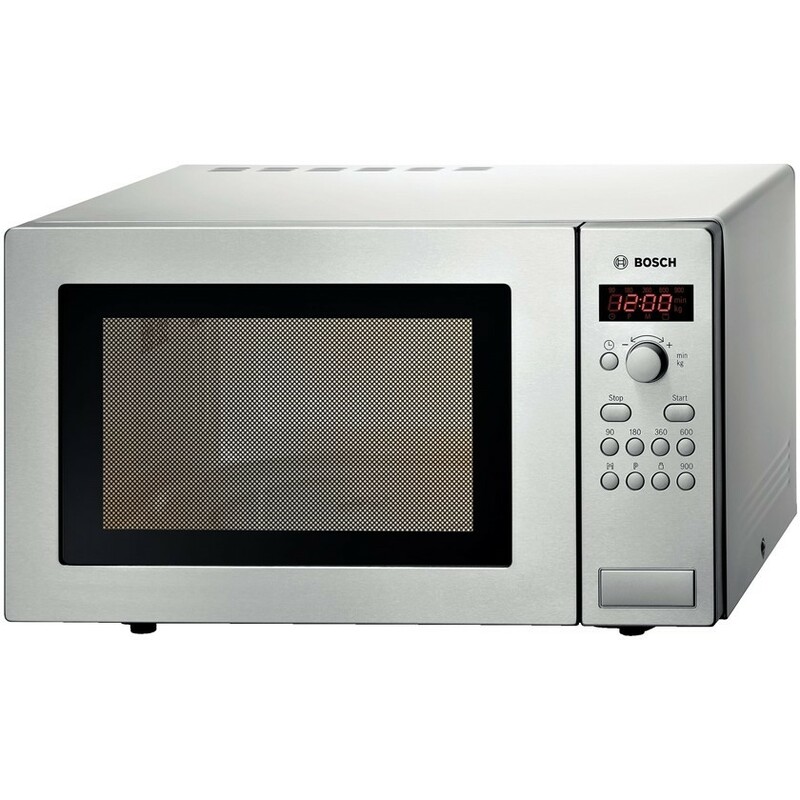 The Bosch HMT84M451B Microwave, in stainless steel, defrosts, heats and cooks helping you prepare food in the kitchen. There are 7 pre-set automatic programmes so every dish is a perfect success, choose the programme and enter the weight and the microwave oven will do the rest. With a high power output of 900W, you can heat dishes quickly and with 25 litres and a 315mm turntable there is ample side. A handy defrost programme will hygienically thaw any food ready for when you need it.